Hungry? Make it Trifon's tonight! 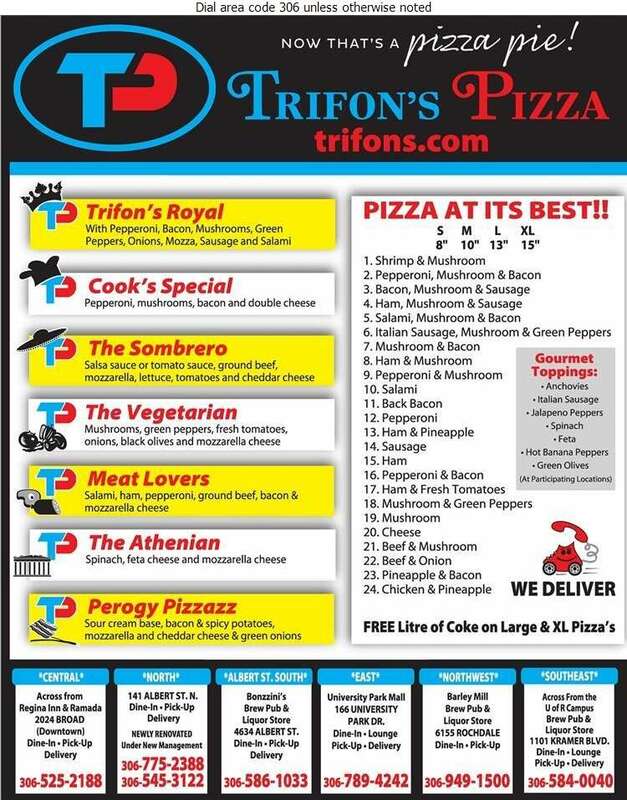 Located in Regina, Trifon's Pizza has been serving customers for over 40 years. Come in and enjoy one of our 24 freshly made pizzas smothered with tomato sauce, gooey mozzarella cheese and your favorite toppings. Our menu also includes a variety of other mouthwatering options. 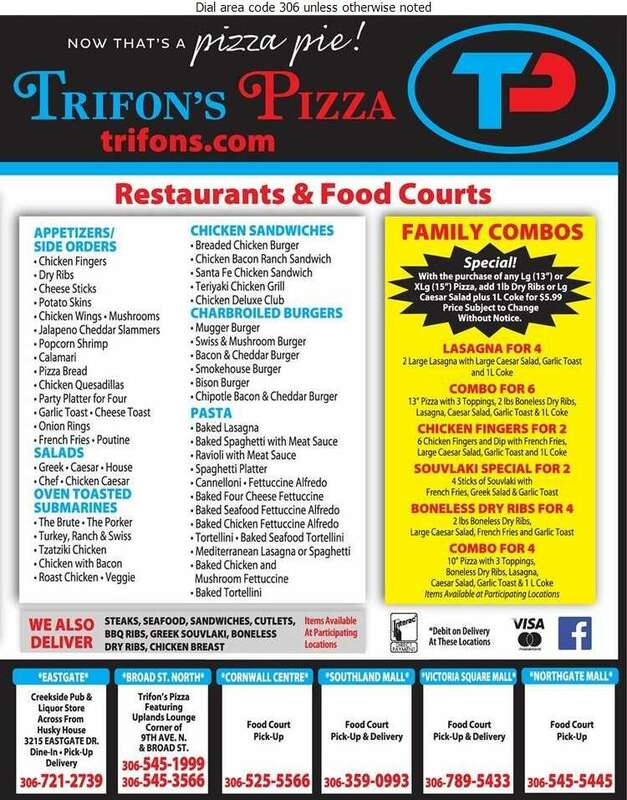 Trifon's is not just pizza anymore! Order one of our tasty appetizers, salads, sandwiches, burgers, seafood or pasta dishes, entrees and more. Stop in at one of our twelve Regina locations or visit us online for full menu options. Pickup and delivery options available. Still the best pizza! I've enjoyed Trifon's pizza on Broad St since 1989.